The Tartiflette is the jewel of the Savoie food crown, an iconic mountain dish made from potatoes, bacon, onion and lots and lots of Reblochon cheese. 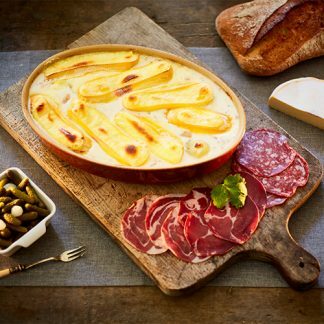 Delicious, cheesy, iconic – we love Tartiflette and you will love ours. Accompanying the dish is a plate of local charcuterie and gherkins. For dessert? 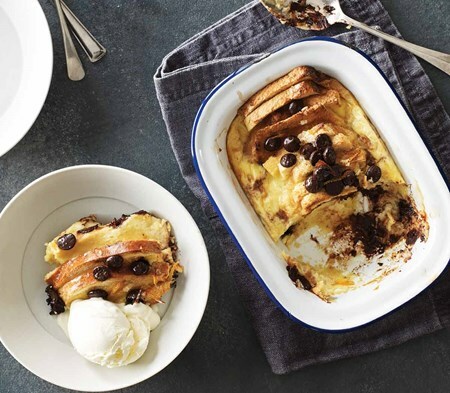 A glorious Chocolate Orange Bread & Butter Pudding. 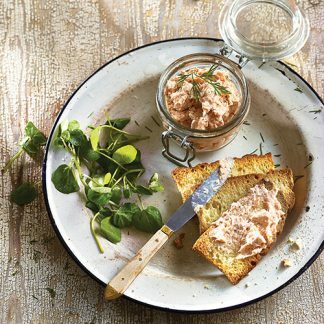 As all our Savoyard range use only locally sourced ingredients and are freshly made in the Savoie Tarentaise Valley by Chalet Chef. They will arrive frozen. Did you know? Tartiflette was first mentioned in a 1705 book, Le Cuisinier Royal et Bourgeois, written by François Massialot and his assistant cook B. Mathieu. OVEN: Preheat oven. Remove film wrap. Place on a baking tray in the centre of the oven. 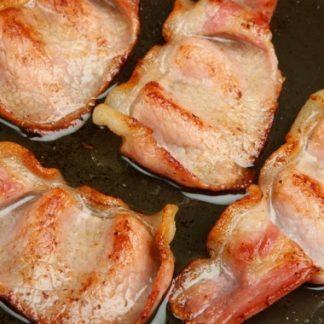 OVEN SETTINGS: Fan 180°C , Electric 200°C , Gas Mark 6 for 70 mins. Allow to stand for 5 min. Ensure the food is piping hot before serving.